King’s College Hospital has confirmed that the 14-year-old Leitrim girl has undergone a liver transplant operation. 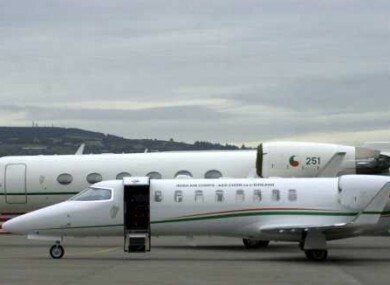 The government Learjet brought the 14-year-old to Heathrow earlier today. THE LEITRIM TEENAGER who missed out on a liver transplant two months ago has finally undergone the life-saving operation. King’s College Hospital confirmed to TheJournal.ie that Meadhbh McGivern is out of surgery and the liver transplant was completed. A spokesperson for the hospital said that, as expected, it was a difficult and challenging operation but the 14-year-old is out of theatre and has been transferred to a paediatric intensive care unit. Her condition is stable and she is under close observation in the London hospital. “Meadhbh’s parents are being supported by hospital staff,” added the spokesman. Email “Meadhbh McGivern out of surgery after liver transplant”. Feedback on “Meadhbh McGivern out of surgery after liver transplant”.